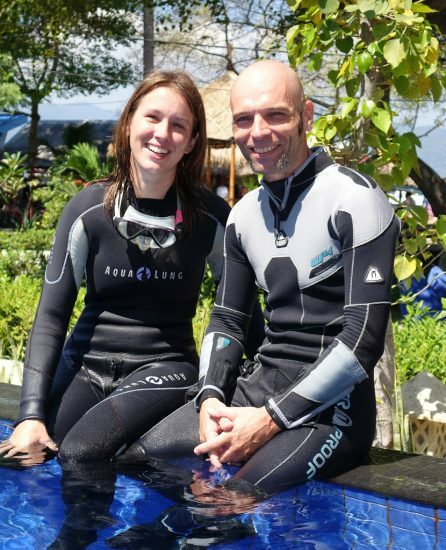 In October 2016, Susanne and her boyfriend Heiko travelled to Indonesia and the Philippines for three months to visit special dive spots, broaden their experience as diving instructors and perhaps even find a place to set up their own diving school. First, they visited friends on the small island of Gili Air. 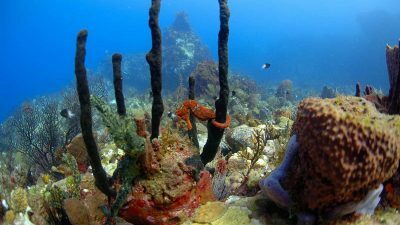 Then, after a few stops along the way, they travelled to a dream destination for many divers – Raja Ampat in West Papua. After a week's stay there, they continued to Negros Island in the Philippines at the end of November. After a night stricken with mild fever and discomfort, Susanne developed a high fever the following night. She and Heiko were very concerned and went to the nearest hospital in the morning. Blood and urine samples were taken and a malaria test was done. Although this area of the Philippines was not known as a high-risk malaria area, an infection could not be ruled out due to their stay in West Papua, which was a high-risk area. When Heiko collected the results from an external lab, only two words were said to him: "No malaria". Relieved, he passed on this information and the results to the treating doctor at the hospital. As Susanne’s platelet count was very low, the doctor suspected a dengue virus infection, saying, “There is currently a small epidemic in the area.” Susanne was admitted as an inpatient and given large doses of intravenous fluids. A dengue test was unavailable at the time. After four days of treatment for dengue fever, Susanne continued to worsen. She became more and more short of breath, which was atypical of the usual progression of dengue fever. Another doctor at the hospital became sceptical and carefully reviewed Susanne's medical notes. He discovered a test result dated the same day she was admitted, which stated: "Positive for malaria". This came as a shock for Susanne and Heiko. Where had this test result been for the past four days? Apparently, the delay was partly due to recent holidays, which meant that the health department where the results were usually sent to first was closed. Susanne was subsequently transferred to the intensive care unit and needed artificial respiration. She remembers: "I was initially afraid for my life because of the misdiagnosis and the delayed start of treatment." Heiko called the aqua med emergency hotline. The doctor on duty first alleviated their fears, knowing from experience that a delay in starting treatment was not uncommon in practice. Following internal discussions, Susanne's case was transferred to the doctor's colleague from the aqua med board who specialised in tropical medicine. Susanne’s symptoms indicated a complicated case of falciparum malaria (sometimes also "malaria tropica") which, according to the aqua med doctor, could "most probably be traced back to the wrong treatment, especially the high levels of intravenous fluids." This had led to a build-up of water in the lungs (lung oedema) and the shortness of breath. In addition to other typical symptoms of falciparum malaria and a significant platelet deficiency (thrombocytopaenia), Susanne also had severe anaemia. For this reason, she needed several blood transfusions. After one transfusion, the hospital did not have sufficient stock for Susanne's blood type. In the area, it was common to ask friends or relatives to donate blood. Since Heiko and Susanne were only passing through, they did not know anyone. The hospital staff was not allowed to donate blood. Heiko tried his luck at nearby resorts and dive schools and even contacted a so-called “blood dealer.” The latter demanded a horrendous sum to find a compatible donor. "[It was] a lousy way to benefit from other people's suffering," Heiko says. Miraculously, within several days, four people showed up at the hospital offering to donate blood to Susanne for free. Heiko and Susanne found out later that a student had heard about their situation from the hospital staff and had launched an appeal on Facebook. Luckily, a compatible donor was found and Susanne received the required transfusions. "I was moved to tears by this," Susanne recalls. The next issue to be addressed was what Susanne’s subsequent course of treatment should be. As the area where Susanne and Heiko were staying had a low risk for malaria, the medical staff did not have much experience in diagnosing and treating it. In addition, the ideal medicine for treating Susanne's malaria was not readily available. For these reasons, the aqua med doctor suggested treating Susanne with the drug Malarone, which was readily available. It was important not to waste any more time as Susanne was still in a critical condition. Even though Susanne remembered the staff as being "very friendly and warm," the flow of information was chaotic because the hospital staff did not communicate very well with one another. Hence, Susanne and Heiko were thankful to be able to speak to aqua med daily on the telephone to check that the treatments given were sensible and correct. Heiko remembers, "You had to be alert at all times. We had lots of different doctors and each one said something different." Susanne clearly remembers, "One thing was certain – every time I woke up, Heiko was at my side taking care of me and everything around us." On the second day of the Malarone treatment, the number of parasites in Susanne's blood dropped significantly. However, the haematologist suggested using a more effective drug since (as he said) "after all, it is only suitable for the prophylaxis." Heiko recalls: "I had the feeling that the doctor was unfamiliar with Malarone and was afraid to lose face. Conversely, I was afraid that there would be another mistake in Susanne's treatment due to ignorance and a lack of communication. So I checked with the aqua med doctor and was able to hold my own against the haematologist." Although Malarone is not the first drug of choice in treating a severe case of falciparum malaria, a decision was made jointly with a tropical specialist to continue the Malarone treatment for another day and to await the results of a malaria test the following day. On the third day of the Malarone treatment, blood tests showed that the number of parasites had declined even further. Despite this, Susanne still ran a fever and needed artificial respiration. The aqua med doctor and the Filipino tropical specialist agreed that Susanne should continue taking the malaria tablets for two more days. This option was only possible because Susanne and Heiko had packed two packs of Malarone in their first aid kit. In the following days, further malaria tests showed a significant drop in parasites in Susanne's blood, until it showed none at all. 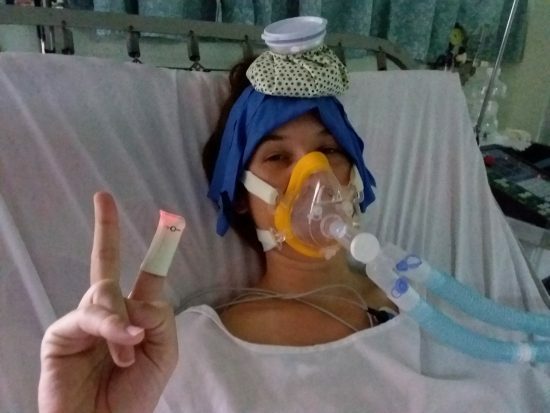 Susanne's breathing, the thrombocytopaenia and oedema also improved, and her fever subsided. 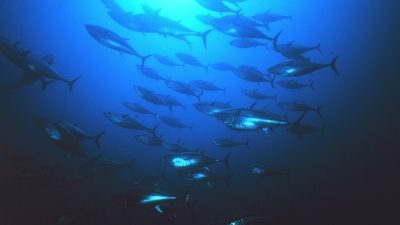 The Malarone treatment was stopped after five days. By then, Susanne could breathe on her own and was moved from intensive care to a normal ward after 24 hours' observation. Her blood levels were still being monitored. Although no more parasites were found in her blood, her electrolyte, haemoglobin and thrombocyte levels were still below the normal range. Susanne received another blood transfusion to speed up her recovery. Healthy again – or not? After 14 days in hospital, Susanne was discharged. She remembers: "I was out of breath just taking the first few steps outside of the hospital." Susanne: "After this experience, I would advise other divers to ask their dive centre if they have their instructors' blood type on record and if they would donate blood in the event of an emergency. My dream is to have a network of travellers who all register the length of their trip, their travel destination and blood type. Travellers could then help each other in an emergency." Heiko: "Get advice from a tropical consultant before starting your long-distance journey, and get vaccinated. Many health insurance companies [in Germany] even pay for the costs. Also, take enough antimalarial medication with you for stand-by treatment if you travel to a malaria risk area. This way, you are prepared in the case of an emergency. If you develop a fever, go to the hospital immediately and get your blood analysed. And the best thing would be to contact aqua med right away." Aqua med doctor: "I am very glad that Susanne has completely recovered despite the series of unfortunate circumstances surrounding this severe case of falciparum malaria. I wish Susanne and Heiko the very best in realising their wishes and goals." Heiko and Susanne: "We want to thank aqua med again for their support. We are overwhelmed as we did not expect so much help and such close contact. We will of course tell people about our amazing experience with you and will recommend you! We are very pleased to have discovered you. Thank you so much!"